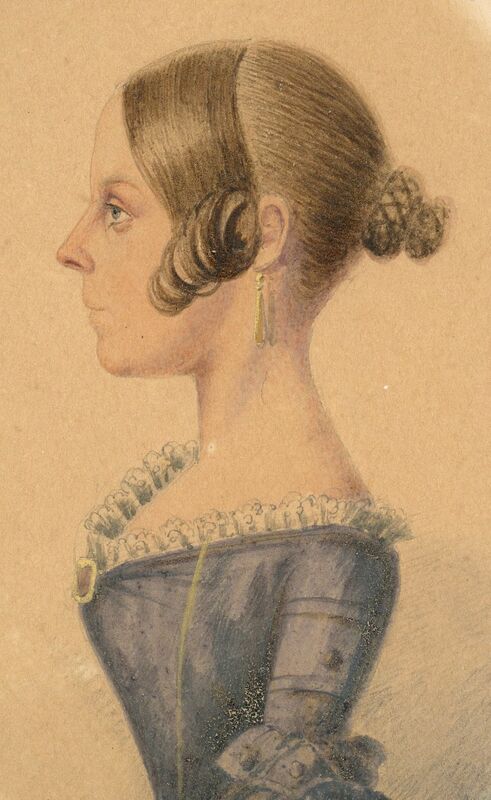 This is a watercolour profile of a young lady named on a label verso as Mary Anne Ashcroft. Mary Ann is wearing a pretty blue dress with a frilled neckline and Victoria sleeves that are narrow above the elbow and then full below. She has put on her best gold jewellery for the occasion including a gold brooch on her corsage, a watch chain and drop earrings. 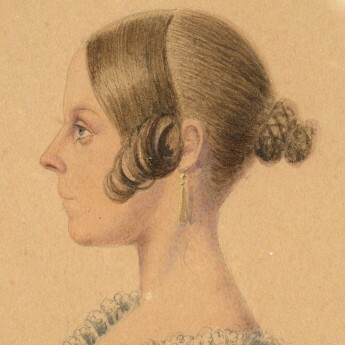 Her hair is drawn back into a plaited knot with stiff curls over her ears. The portrait is signed along the edge ‘B. W. Gilbert’. This is unlikely to be the same profilist as B. Gilbert listed by Sue McKechnie as a cutter of full-length silhouettes around the same time. There are, however, no further clues. 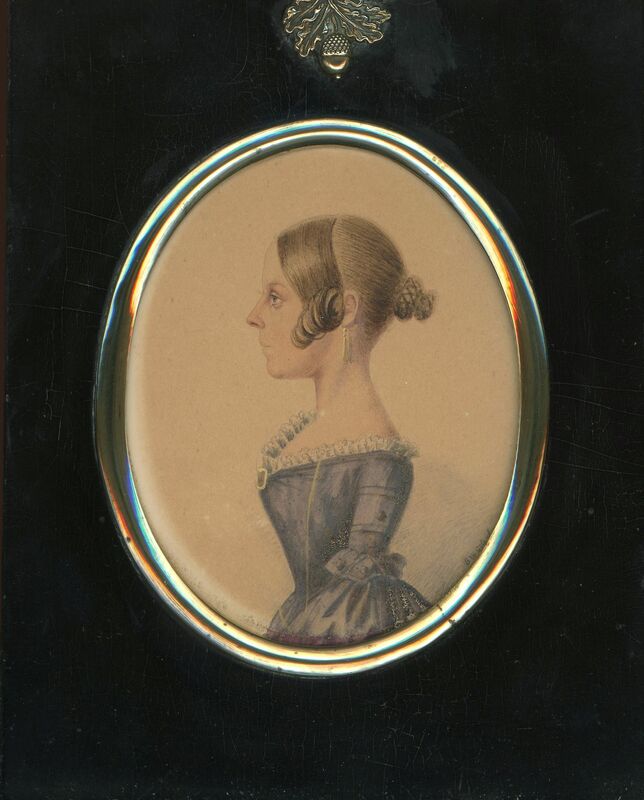 The profile is set in a traditional papier-mâché frame with convex glass and an acorn hanger.